When I first saw Jiří and Otto Bubeníček on stage in Bari (Italy) for the re-opening of Teatro Petruzzelli late in 2009 I would have never thought that many years later, I would have met the twin brothers in Hellerau - European Arts Centre, Dresden before the German Première of #LesBalletsBubenicek #Orfeus (shows March 3-4, 2017). Please check here the reactions on Orfeus. 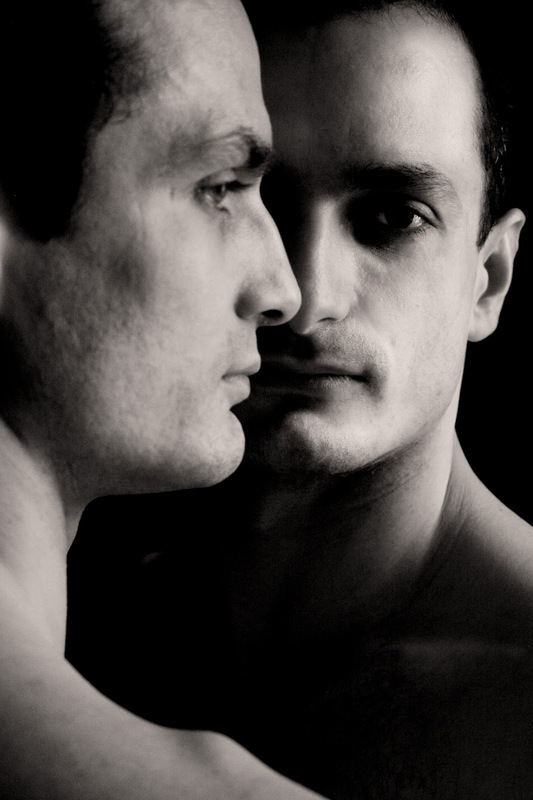 After completing their long career at the Hamburg Ballett (Otto) and at the Semperoper Ballett (Jiří) a totally new life opened up for the multi-talented brothers. "For dancers, the age limit is a constraint but we still love dancing. The passion and the fulfilment we feel when we are on stage help us to push our limits a step further" say the twins. "We will perform on stage as long as we can experience the deep connection between soul and body. It is this connection that makes us feel one with the piece we perform and experience a sort of Stendhal syndrome" says Jiří. "Love and passion must never fail. They are indispensable for gaining the complete control over body and emotions, and dancing for so long" Otto goes on. In the future, the twin-brothers will reduce their active appearance on stage and concentrate more and more on the creative creation part. I (Jiří) will work to create the choreographies and Otto, thanks to his love and skills for technologies, will create the music and the 3D design for costumes and stage-setting. Like in a puzzle, all parts (choreography, music, costumes and stage-setting) will then come to life on stage. We have already many projects that will bring us to different countries in Europe as well as overseas. Now that a completely new chapter of their life is starting they cannot avoid thinking back at the first steps of their career. "We own big thanks to the excellent teachers we had in school. Our success started in those days. This is one of the reasons why teaching is so important for us and we will give classes in Japan and in Spain later this year" say Jiří and Otto. Jiří: "We both believe that dancing in the studio, where our body and soul come for the first time in contact with a new piece, is like dancing in a "safe area". Here the mistakes play an important role and can be fixed. In the studio our skills are tested, our body stretched and our soul gets ready for the real performance on stage. It is a little bit like a newborn. The life at home with parents, relatives, and friends is like a test-bed for the real life. On stage then you get all the answers you cannot find in the studio". Otto: "We are also very grateful to the Hamburg Ballett. When we entered John Neumeier's Ballett Company we were among the few Czech dancers performing in Germany. At that time there was a generation change in the Company which allowed us to perform principal roles, testing our skills and pushing our limits". 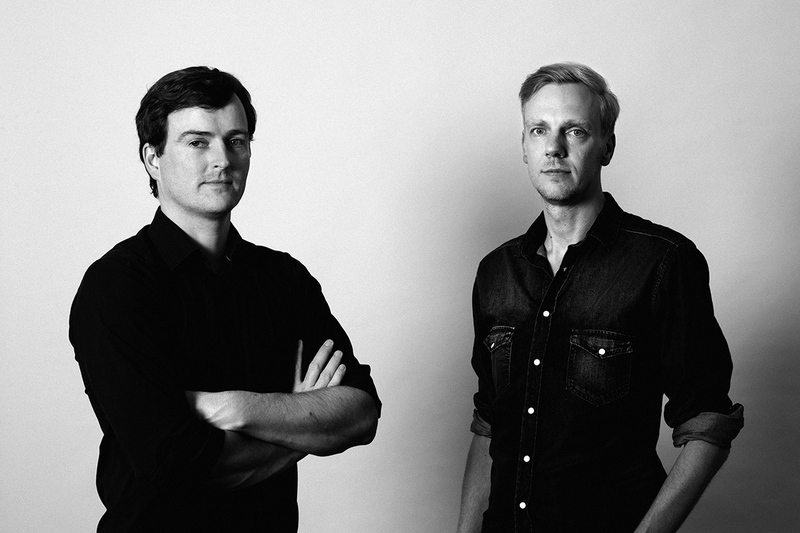 During all these years Jiří and Otto nourished their passion for active creation. In their pieces, they always want to stay true to themselves. "It can seem strange to say it but even by playing a role we never lose the connection with our values and with the reality, we believe in. It is this belief and this connection that we want to transmit to our audience, to remain honest to oneself, even when the subject we deal with like in Orfeus (the idea of the loss) or in Faun (a desire stuck in the head) is not an easy one" say the twin-brothers. Please check our website or follow us on Facebook to know more about our new projects and come to see our work. The connection we create with the audience is difficult to describe and lasts for a long time. My big thanks to Jiří and Otto for their time (a few hours before the German Première). It has been a great pleasure and an honour to talk to you. I 100% enjoyed Orfeus yesterday. With upcoming SEMICONEuropa in Dresden we had the plaesure to have a chat with one of the exhibitors, Compugraphics International Ltd, with a long experience in the photomasks field. 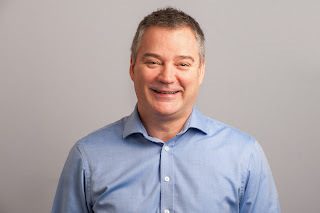 - Brian, you are leading a company with more than 45 years’ experience. What makes your business so appealing? What I think appeals to our customers, and many of our employees, who have stuck around the business for much of the past 4 decades is that the industry is constantly changing and, most importantly, Compugraphics strive to be ahead of the curve. Considering the dynamic nature of the business - everything we make is a custom order, there are no finished goods in inventory, we never have more than a few weeks of orders on the books, the sales distribution by customer changes radically from year to year – these factors bring their own energy and tensions to the business to keep us all interested and on our toes. It is this that keeps us passionate about the photomask industry which we believe shows in our work and is why our customers come back to Compugraphics again and again. - Compugraphics produces photomasks. How long does it take to create one photomask? And how do you test its successful production? on the dimensions, defect and overlay precision, complexity and the number of process steps involved. 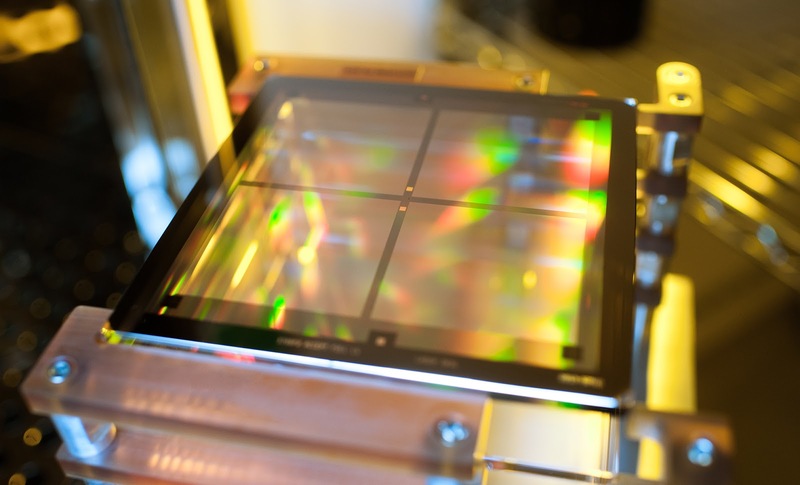 There’s no concept of sample inspection in photomask manufacturing. A photomask may be used to print thousands or millions of products so a fit for purpose photomask usually means zero defects. This requires metrology, defect inspection, and repair equipment which is expensive to buy and requires intensive maintenance and calibrations. 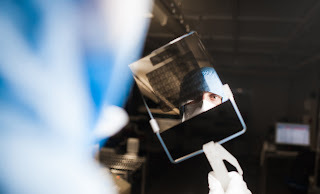 Every one of our photomasks is subject to thorough testing against all the critical criteria so between our investment in this equipment, and our testing processes, we produce masks which are the highest quality possible. - You are located in Europe and the U.S. What do Europe and the U.S. offer you and what are their basic differences? More than 70% of the photomasks we build get shipped back to customers within 5 days of receipt of order. Mask making occurs at one of the pinch points in terms of time to market for new product development. Sometimes we need to get masks back to customers within hours of receipt of design data. Having facilities in Europe and the US allow us to meet these demanding requests. The world does seem much smaller today than years ago but even so it’s not possible to serve the global market from a manufacturing base in one economic region. Each of our sites have similar capabilities but produce different mask sizes. Our facilities in California and Scotland are comparable in capabilities but our facility in Jena can produce large area masks up to 16” or we have high technology partnerships which can go up to 32”. We also have a Repell facility in Austin, Texas dedicated to reattaching Pellicles and reconditioning damaged masks. Compugraphics started out in Scotland and has branched out to the US in the 90’s. It’s possible there is still room for our focused strategy and business model in other regions too. - In 2014 you have been involved in the Rosetta Mission. How did you get involved in this 'Mission Impossible' and what have you learned from it ever since? We made these masks for Rosetta Mission many years ago and at the time had little sense of what an exciting project we were to be a part of. One of the real lessons in this is to be more inquisitive about what kind of research and projects our photomasks are a part of. It certainly gives a sense of purpose to the team to know they are enabling a greater good and not just satisfying a demanding customer. - What role does research, innovation, and technology play in your organization? Compugraphics is uniquely positioned in the photomask competitor landscape. 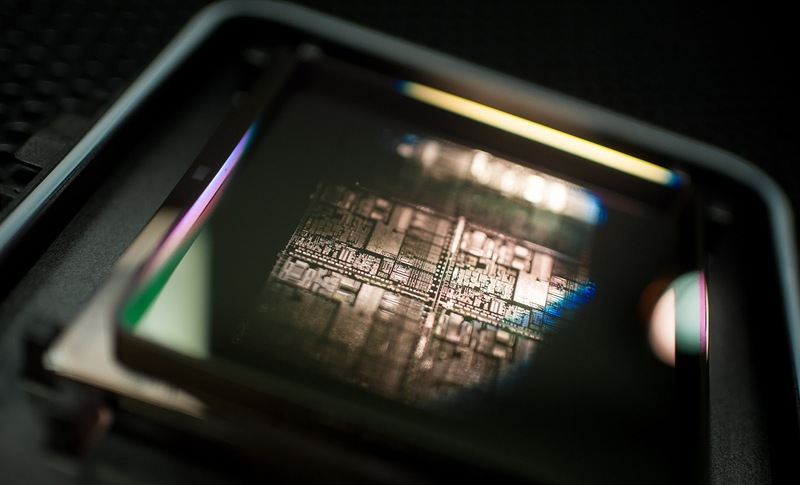 We don’t have the scale, geographic reach or the technology to be the research partners to the biggest names in Semiconductors. 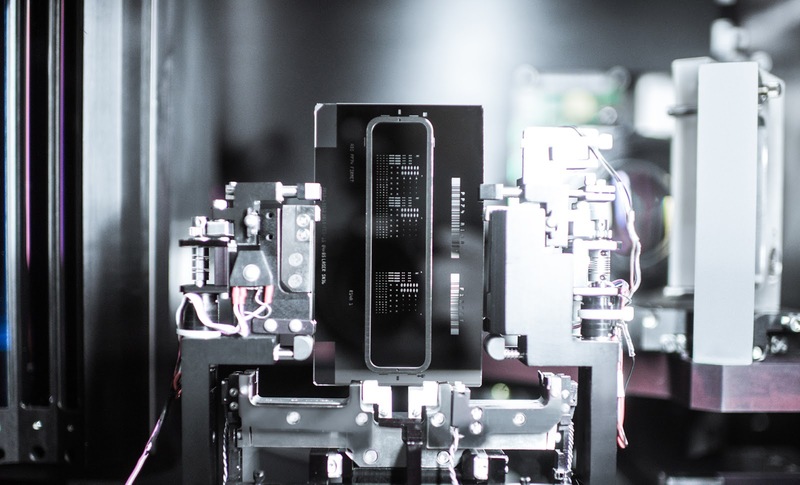 We are, however, perfectly positioned to partner with the research leaders in other specialist lithography applications required to support technologies like MEMS (Microelectromechanical Systems) Photonics, Silicon Photonics, and WLP (Wafer-Level Packaging). - Your products are applied in many different areas. In which fields would you like to work in the future? I think it is gratifying for us to know that you don’t need to have to be at the bleeding edge of lithography technology to have an exciting role to play in developments in Silicon Photonics, Wafer level Packaging, Internet of Things, Sensors, MEMS and Biosciences to name a few. You do, however, have to be on your toes and to keep close to your customers and evolve with them. - You visited the Laser World of Photonics in Munich this June. At the beginning of October you will attend SEMICONEuropa in Dresden. What are your expectations about the upcoming SEMICONEuropa? We attend these events, particularly Semicon, for many reasons. There is, of course, the obvious benefit of meeting potential customers but equally we like to go along to hear what others have to say about what’s going on, or what’s next, in the industry. Events, such as Semicon, are also a great opportunity to meet with our customers. As you can probably imagine with Compugraphics being around for over 45 years, we have made a lot of connections over the years. Semicon is always great for catching up with customers who have busy schedules and where better to do so than the beautiful city of Dresden. - Innovation always plays a big role in today. Compugraphics is also active on social media, why and since when did you as an organization went digital (Facebook and Twitter)? Is that not too 'future-oriented' for an industry that is traditionally doing business on a B2B basis? making us appear innovative. Our slogan is “the experts behind the mask” and social media gave us the opportunity to prove this to a wider audience. Digital channels and social media allow us to engage with, and help, our customers faster after years of them telling us how much they value our expertise. The introduction of social media presented Compugraphics with the ability to open a conversation with customers like never before. We use social media to share information our customers actually value and listen to their feedback. Social media is a powerful tool for businesses, whether you are B2B or B2C, as it gives you the chance to interact with your customers in real time. Yes it seems the Semiconductor industry is a little behind in the uptake of social media but I think it will become common place like it is in many other industries in the near future. - Could you please introduce yourselves? All started by chance. We, Matthias and myself, used to go out with the same friends, to spent time together, to go skiing and parties together. Our business is actually the story of a friendship long a few years. Matthias has always been a visionary, a product innovator, passionate for design. Me, on the contrary, I have always had a passion for strategy and business administration. From a mere professional point of view we are completely different but for our business our skills match perfectly. - How did the business start? At that time I lived in Berlin. I was working for a company in the communication field. One day my "old" friend Matthias came to me with an idea one has only once in a life time. He said to me, "Look Karsten, either I bring my idea into life now or I will regret it forever." Matthias' idea hit me, it was just brilliant. It was about re-shaping the interaction between consumer and product, letting them play together and bringing out the best of both. It was the light, a key element for life in general and, in particular, to improve our physical and psycological well-being. Since the lamps, as we all know them, have been created, we could decide to switch them on or off, to direct the beam in a direction or in another. Now we can decide to move the light beam from the right to the left or viceversa, or to focus it in the middle, without the need to move the lamp itself. The beam positioning chances are more or less infinite. 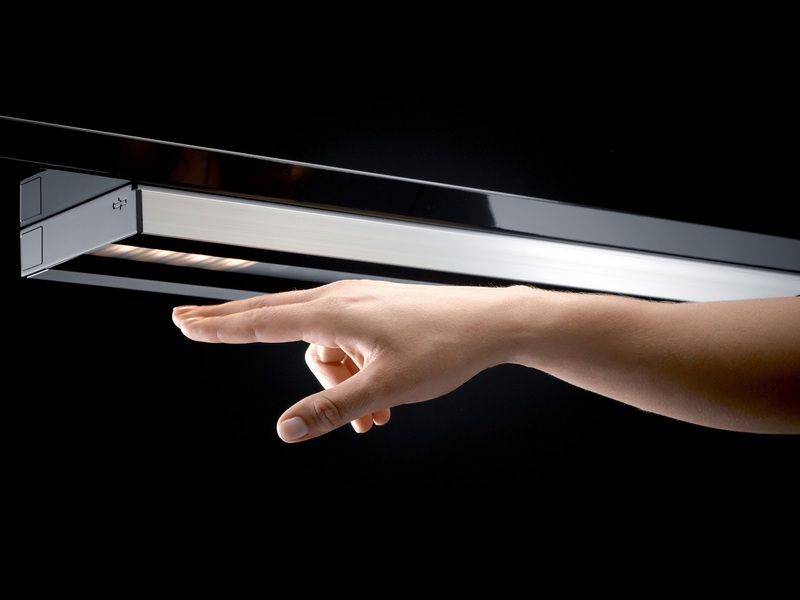 And there is more, being Matthias an innovator, he wanted for his interactive-light-idea an innovative product: LED. So we had two men, an innovative product and a crazy idea. A good mix to start a start-up! - How far have you gone since then? Since the time Matthias told me about his idea, back in 2009/10 we have taken part to many competitions here in Dresden-Saxony where our start-up is based as well as worldwide and won different awards (winner 2010 of the reddot design award, Publikumpreis at the IFA USABILITY PARK 2012, Nominee at the German Desing Awards 2012, Core77 Design Awards). We are partners in international projects and our lights reached customers in America and Asia and of course also in Europe. At the moment our lights are making a 3-years world tour with the exhibition called "Handmade in Germany " a unique chance offered to 150 German manufactures, craftsmen and designers to show their masterpieces. 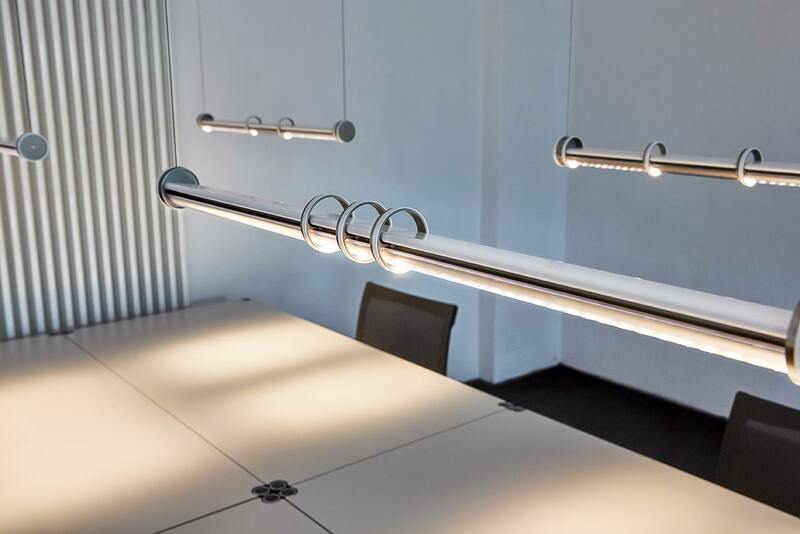 We have also an office and a showroom in Berlin. - What is your Unique Selling Proposition? USP. In the coming future we are moving into the Internet of Things #IoT. We are already testing our lights to be fully controlled using a mobile app., comfortably sitting on the sofa. Dresden has a long tradition in optic and optical applications. The city is also known as #SmartcityDresden and we want our lights to be part of this vision. Moreover, we can fix our lights in ceilings and walls, and produce them in different shapes and colours. 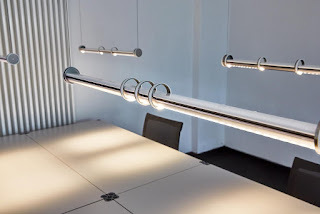 Our lights are made to meet the needs of families as well as of companies and facilities. 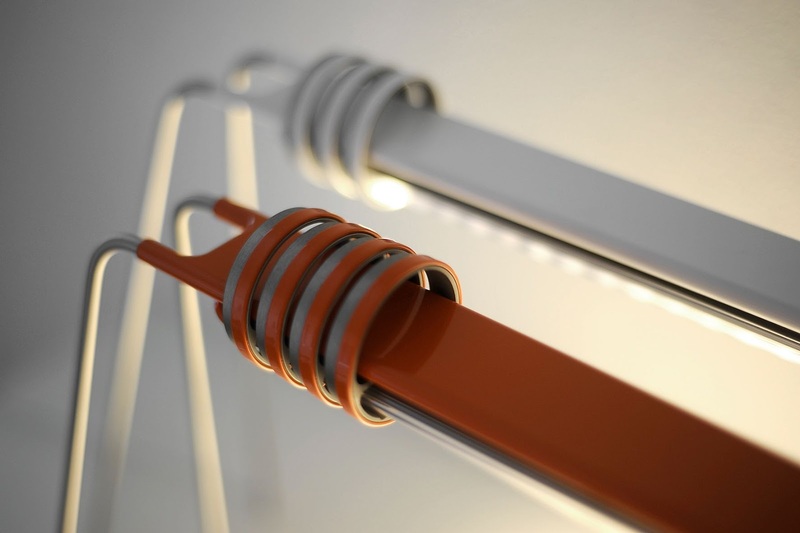 They combine top quality materials and technologies with innovation and design. This is Made in Germany and locally. Please visit our webside as well as our Facebook page and Twitter to know more about us. Antonio, in January 2014 you have released an interview to HTxA Blog. Things have changed quite a bit since then and Sòphia High Tech S.r.l has celebrated its 2nd year of life just a few days ago. 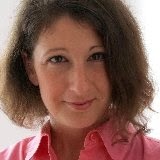 Angela Incampo: Could you please describe your customer satisfaction regarding your product/service and the success of the business in the European market? Antonio Caraviello: Sòphia High Tech, "born" in July 2013, has been classified by the Ministry of Economic Development (Italy) as an innovative start-up. This company classification identifies a company that has as its sole goal the development and production of products and services with highly technological value, and whose founding members are at least PhD students. The idea, behind the establishment of the company, was to design and sell standard fixtures (according to UNI, EN, ISO, ASTM, DIN, BS, AF, etc.) and special fixtures to perform mechanical tests on innovative materials, as composite materials. 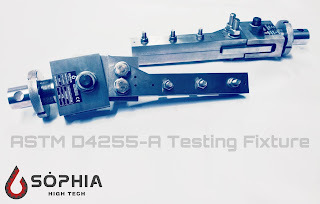 The approach to the market requirements has been very flexible because Sòphia, over assisting clients in the testing phase, ensures total support in engineering with high technological value, especially in R&D. Then the growth of Sòphia, evaluated relative to the market, has a high performance index since its birth (about half a year ago) has enriched the core business of all the skills of PhDs and university professors, in the shareholder structure. Sòphia has started from the realization of testing equipment and now realizes, for example, an appropriate customized equipment for a customer, to perform the tests of friction welding titanium. 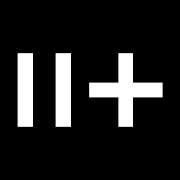 For this reason the company is undergoing a spin off accreditation at the University of Naples Federico II . A.I. : Please describe the achievements of your growth strategy over the past 2 years. A.I. : What are the key strategies that allow you to be innovative? 1. To train technical team and management. Sòphia is a company with limited liability, but the people who work for it have the typical approach of a joint stock company, maintaining the flexibility that distinguishes SMEs. 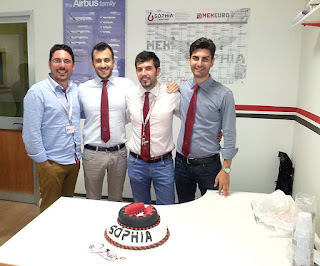 Each of the young PhDs who founded Sòphia has a management role and therefore is training day by day in order to improve the overall business performance. Engineers have been trained to act ad hoc in order to gain a highly critical skill on engineering problems. Because the company's core business is focused on research projects it is necessary for the human resources to have an eclectic expertise on technical problems as well. 2. To involve human resources in the company's mission. 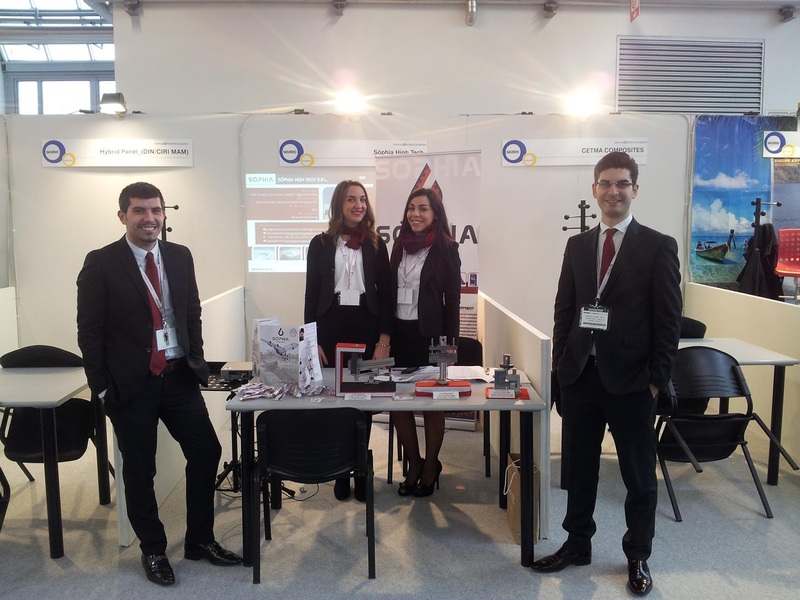 Sòphia considers its employees the main stakeholders of the company. The founders were able to transmit to each employee the corporate vision, spending time to plan their personal growth. The partners have therefore decided to support themselves economically not perceiving gains or a fixed salary from the company, despite working actively in Sòphia. Sophia believes enormously that the managerial sector meets continually technical field, generating the necessary knowledge exchange. This because we strongly believe that the technicians of today will be the managers of tomorrow. 3. To find the right partnerships. Innovation is pursued offering to customers a complete package which includes not only the digital prototyping but also the physical mock up and testing. For this reason, the first partner of Sòphia is Mek Euro, a manufacturing company, which operates in the field of precision engineering. Both companies are located in the same building, so each market request is processed through both for design, for production and industrial automation. 4. To involve the University. Sòphia is the bridge between research and company (business) since it was founded by researchers who gained high industrial skills. Sòphia is waiting to receive the spin off accreditation from the University of Naples Federico II, and it actively works in close collaboration with the DICMAPI - Department of chemical engineering, material and industrial production of this university. 5. To make an appropriate business communication. The web now defines Sophia "the team of red ties". The idea is always to introduce ourselves as a compact team, inspired by TEAM of Formula One or football TEAM: All united and ready to solve a problem, or to answer a need. The managerial areas of Sòphia are all driven by PhDs. They look deep at everyday issues related to their work and make strategic choices increasingly innovative. Even in this sense, the approach to customers is highly technical, involving them from the outset, in the technical and operational choices. 7. To join the national financing. We are also very proud to announce that we have been choosen for the European Business Awards amongst 24,000 companies. Antonio, many thanks again for making us aware of the developments occured in the past months. 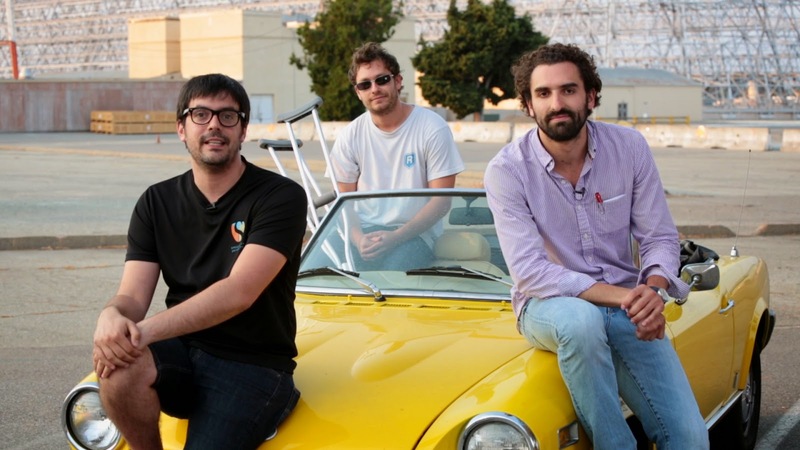 We are Christian Henriquez, Javier Rincón and Leonardo Valente, from Chile, Mexico and Argentina respectively, we are students at Singularity University's Graduated Studies Program (GSP) 2014, doing our final team project, giving hybrid cars not only to developed countries, but to the whole world. 2) What brought three young men, coming from three different countries to share the same vision? Basically we are three gearheads (did you realize that you cannot use "petrolhead" anymore? ), we are equally passionate about cars and amazed by the new technologies in transportation that we can join everyday at Silicon Valley, and cannot find in our countries. 3) What inspired the name of your team project? Exponential is the key idea below our technologies, both the massive production and adoption of high tech electric motors, electronic controllers and computer interfaces are radically lowering the cost of our solution. Motor Company is for big businesses about cars, and we are thinking big! 4) Why do you think your team project will make a real difference? There's a huge potential for green transportation in today's cars, why do we have to wait for all them be replaced with hybrid or electric ones? 100 millon cars worldwide are waiting for an affordable, easy and powerful solution to became more efficient and less polluting. 5) What are the next steps on your implementation plan till August 24th, and beyond? We are waiting for the electric motors that are already coming from china, while buying some important stuff: A car!, batteries, wiring, small computers, diagnostics interfase, wood (you need wood, ever) to get the prototype running by final presentation. After that, if the people that can help us show interest, we are going to work hard on make this dream commercially possible. Is not that difficult. 6) What is your target client group, and why? We are focusing on medium to high usage drivers, commercial vehicles and taxis first, because they can get payback for savings in less (in some cases much less) than a year. But we know there are many families that like this kind of solutions too. 7) Which has been the biggest challenge you have managed till now and how have you solved it? While being foreigners in this country, we had to solve several issues about payment for things in china, car registration, etc. Would be much easier and less time consumpting if we had a social security number!!! 8) Since the start of GSP14 we are running a crowdfunded project together with Eventifier to make all tweets tagged #GSP14 available for one year http://bit.ly/SingularityUniversityGSP14. Which role do you see social media, and especially Twitter, can play for the success of your project? Social media was key raising awareness in our countries! This lead to lots of support in our indiegogo campaign https://t.co/8hrEMyyByo but we are waiting for the real help from Singularity Community here in the USA! That's why every tweet helps! Hi. My name is Wadim and I’m the initiator and one of the founders of whisp. 2) Where does the name of your startup come from? Whisp is a platform for opinions. When we look at online opinions today, we see that most opinions are being shared on Social Networks. But unfortunately in todays social networks your opinions have no impact at all! Actually posting your opinions on SN is like whispering on a loud rock concert. Starting with this metaphor we ended up with whisp – a platform that shall give impact to your opinions. 3) What is the idea behind your startup and your vision for the future? Whisp is a microblogging platform and is about an engaging way of expressing your opinions by using the aspect of blue and red colors. Whisp intelligently summarizes all shared opinions and creates a true user driven social search engine for real opinions on any imaginable topic. The vision is to make whisp the best place for sharing and searching opinions. 4) Which steps have brought you to build this startup? This is a very complex question, not easy to answer in a few words. I can say that I have always been looking for working on opinions, I don't know the reason why. I suggest you have a look at our blog, there you can get an idea about the role online opinions play. 5) What is your target-group? At the moment we are testing different groups and checking their reaction on sharing opinions openly. We look for opinionated, passionate persons who like to share their opinions with us in a sustainable way. 6) Could you please briefly explain how your application works? Users can share their opinions with colors. We think that colors are more then just a hue. They express a feeling and that is always important for an authentic opinion. After sharing an opinion on whisp, it is pushed into the follower or world streams. We then summarize those opinions topic wise and make them accessible via a simple search. You can even filter positive or negative opinions and see what the community thinks. Additionally whisp gives you the newest opinion trends. You should just download it and try it out! The process of finding a kickass team was very hard. But we still managed to team up for developing of whisp. Mostly friends and family helped us out with contacts. Another big challenge was to get the Seed financing. 8) Where do you see the role of social media in promoting your product and your startup globally? Extremely important. By using various social media channels (for example Facebook and Twitter) we will be able to directly interact with our future users. We also noticed that mostly twitter users like whisp. So it will be important for us share the content that’s being created on whisp also on twitter. 1) Hi Dana, you aren’t from Dresden but have been living here for a few years. What brought you here? I came to Dresden in 2007 as a student. I was studying German at the Goethe Institut. I finished my degree in the States in December of 2008 and wanted the experience of living and working outside the U.S. I moved back to Dresden in February of 2009 to teach English and practice my German. 2) Dresden is a European hot spot for innovation. Microelectronic, nano-material science, biotech, life science are at home here. What contribution does your business make to the area? It creates job opportunities for the people of Dresden through better communication skills. I give them the language skills and confidence they need to perform effectively in an international business environment. 3) What inspired you to start a business in Dresden? I’ve worked for other language schools for many years. I have the experience and know-how to teach effectively. The one thing that made an impression on me was the schools’ inability to be flexible and the way they treated their language trainers. I want to improve the experience for both the student and the teacher. 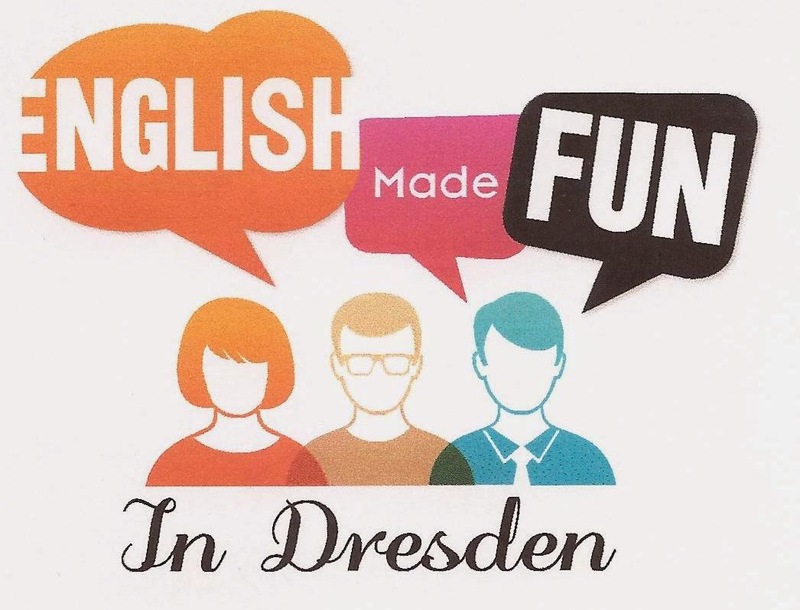 4) The name of your business “ English Made Fun in Dresden” gives the impression that learning English can also be enjoyable? Is that really true? Yes, learning English really can be fun. It doesn’t have to be all grammar drills. I’m able to work with individuals, find out what they need and use real-life situations to teach the language they need to be able to succeed in an international setting. 5) What kind of challenges have you faced? What challenges are you still facing? The main challenge I’m facing and have faced since the beginning is getting the word out about what I do. 6) What are your target groups? My target groups are individuals and businesses who want or need to learn English. 7) What is your vision for your business and Dresden in the next 5-10 years? My vision for the next 5 to 10 years is to grow my business from employing just me, to employing at least 5 other teachers mainly from the United States and Canada. I want to make a positive impact on Dresden because I love living here and have made it my home. For this reason, I want to see the people in Dresden succeed, not only professionally but privately as well. 8) Where do you see the role of social media in promoting your product and your business? I use social media every day as do billions of people around the world, so I think it plays a huge roll in spreading the word about my business. I have a website a Facebook page a Google+ page and a blog about teaching English I work hard at keeping them all up to date and full of fun ways both to teach and learn English. A new blog on innovative startups, and ideas around the world. Based in Dresden, Germany, with a global view. Design "Bildfenster". Designbilder von RBFried. Powered by Blogger.